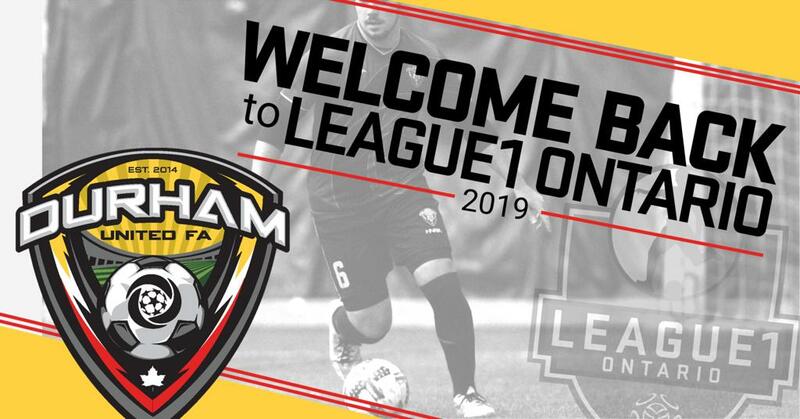 League1 Ontario is pleased to announce the return of the Durham United FA (DUFA) men’s program for 2019. DUFA had put their men’s team on hold in 2018, although they did operate their women’s team, which went on to capture the League1 Ontario Championship in September, their second title in four years. Canada Soccer Business recently announced that is has acquired League1 Ontario and added it to its growing roster of soccer properties, which includes the Canadian Premier League, which will launch in the Spring of 2019. This will facilitate the continuing development and growth of League1 Ontario. League1 Ontario is the only Pro-Am standards-based, league in Ontario. Founded in 2014, the league began with a ten team Men’s division, which by the 2018 season had grown to 17 men’s teams and a separate 13-team Women’s division. Over 100 men and women players have now graduated from League1 Ontario to professional environments around the world. League1 Ontario serves as a stepping stone between the youth, amateur ranks and the professional environment. The league’s focus, first and foremost, is the development of Canada’s future stars.